Marilyn is a Lower East Side native and baby boomer who understands the inherent challenges of an aging population. 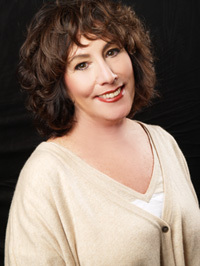 Moving On NYC is the natural outgrowth of her successful real estate company, Karpoff Affiliates, which has been in business for over 38 years and specializes in residential and commercial sales & leasing. Marilyn has now combined her real estate expertise and lifetime respect for the elderly into a valuable service for seniors. She can assess your current living situation to determine how to live safely and independently in your own home. If you need to downsize to a new home, she can create an individual moving plan for a swift transition. 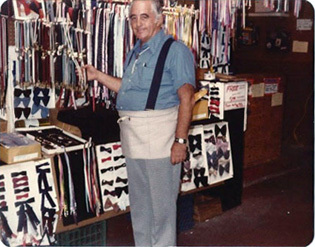 Or if you’re a baby boomer who has lost a parent, you may need help evaluating furnishings and finding a buyer. No matter what your circumstance, Marilyn combines her real estate savvy with integrity and compassion to give you peace of mind as you start your new adventure. Marilyn’s diverse background includes positions as Mortgage Manager at Saxon Capital; Director of Acquisitions for New Plan, a highly respected Real Estate Investment Trust; as a commercial broker selling pre-construction, office buildings, apartment buildings, shopping centers, as well as managing development; and as an exclusive broker for Storage USA and Extra Space. 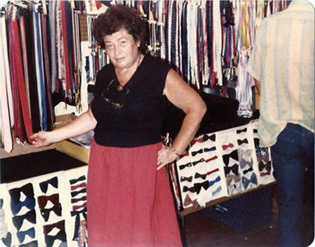 Marilyn learned from the best, her parents Lillian and Nathan Karpoff circa 1980 selling ties in their store on Orchard Street.